At Silver Leaf Mortgage, a Denver Colorado company, our mission is to serve you well, and help you achieve your goals. By listening to you, and learning what you want to accomplish, we will help you access the equity in your home. Let Silver Leaf Mortgage find the right mortgage for you! With a century of combined experience in the mortgage industry, we know mortgages. From reverse mortgages to VA loans and everything in between, we have the skills to help Colorado families find the right loan products that best suit their needs. Our team is dedicated to providing top-notch service and going above and beyond expectations. When you work with Silver Leaf Mortgage, you can be confident that you'll get high-quality, cost-effective home loan products and services. We are your Denver Colorado Mortgage Company! We offer a wide variety of home loans in Denver, Colorado, including conventional loans, FHA loans, and more. We're proud to specialize in a few services that set us apart from other loan providers in the area. 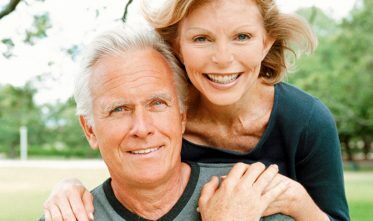 We are the top reverse mortgage broker in Colorado, and among the top 65 reverse mortgages brokers in the country. We love working with clients to help them understand how they can benefit from a reverse mortgage, and we guide you every step of the way. 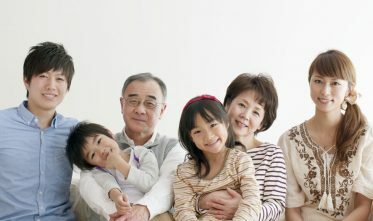 We also specialize in jumbo reverse mortgages and reverse mortgages for purchase. Interested in refinancing your home? We can help. Refinancing your home doesn't have to just be done out of necessity—if you want to shorten the term of your loan, lower your interest rate, drop your mortgage insurance, or consolidate high-interest debt, refinancing may allow you to do that. We'll work with you to help you determine if refinancing is worth it or if there may be another option that is a better fit. Buying a new home is both exciting and intimidating. Whether it's your first home or your fifth, let us help assist you with securing a new home loan. We work hard to help make the process as easy as it can be. If you have limited funds for a down payment and want to discuss down payment assistance, or if you have questions about underwriting, we can give you the information you need. Taking out a mortgage can be complicated, but it doesn't have to be. At Silver Leaf Mortgage, we walk you through the process of obtaining a mortgage and help guide you from start to finish. We offer a "no-commitment" consultation. We'll meet with you, help you understand your mortgage choices, and answer your questions. Not ready to take the next step? No problem. Let us know when you are. Filling out a mortgage application can be daunting, so our team can assist you with the completion of your application. We'll help you gather and organize the different documents you need and review your application to screen for errors or potential issues. We will schedule an appraiser to come out and assess the value of your property at a time that is convenient for you. We offer closing services to help make the closing process go smoothly. With so many loan products available to meet so many unique needs, selecting the right one for you can be more challenging than it sounds. We have a simple formula for determining what loan is the best fit for you. Learn about the different loan products on the market and which loan is best suited for which type of situation. Silver Leaf Mortgage is happy to answer your questions about the different types of loan products available. We will help you through the process of applying for a mortgage/loan. Education is the key to a successful transaction! Our learning center will help you brush up on your mortgage knowledge. Learn the basics of what a mortgage is, the most common types of mortgages, and what you can expect during the mortgage process. 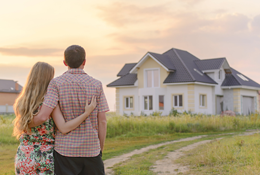 Find out what you need to take the next step to purchase a new home: loans, guidelines for the different types of loans, how to pre-qualify, and more. Refinancing your home can help you pay off your loan sooner, convert equity to cash, get better interest rates, and pay down high-interest debt. Learn how a reverse mortgage can benefit you, and access the equity in your home. “The whole process was simple and very professional. I highly recommend Silver Leaf Mortgage!” —Frank E.
“Warm, friendly, knowledgeable, helpful. Silver Leaf Mortgage always returned my phone calls right away, and was able to answer my questions. I really enjoyed working with Silver Leaf Mortgage and I trusted them completely.” —Helene W.
“Exceptional! Great service throughout the entire process. Thoughtful, caring, addressed every concern promptly and in words anyone could understand.” —James R.
Why Choose Silver Leaf Mortgage? Silver Leaf Mortgage is a Denver Mortgage Company dedicated to providing each client with comprehensive, personalized service. Here, we treat you like family. We're proud to say that we go out of our way to give clients a successful mortgage experience. At the end of the day, it's important to choose a Denver mortgage lender that can provide you with the lowest costs. Our team strives to reduce your expenses wherever possible. We also work hard to inform you of necessary expenses ahead of time, so you're never taken by surprise by a fee. Mortgage lending isn't one-size-fits-all. Each family has different needs and at Silver Leaf Mortgage, it is our pleasure to cater to those needs. We offer multiple loan products and will help you find out which product will give you the most benefit for the least cost. Get Help with Your Denver Home Loan Today! Don't go through the sometimes harrowing mortgage process alone. Work with an experienced Denver mortgage company at Silver Leaf Mortgage to discover how different types of mortgages can work for you. 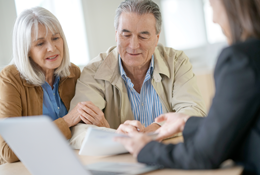 Learn how a reverse mortgage loan can help you build a more financially secure retirement. 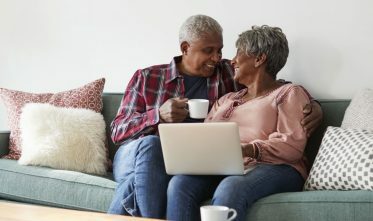 Learn how to access your homes equity to help supplement your retirement! We provide traditional and non-traditional loans. Talk to one of our mortgage experts to find the perfect loan today!